Kevin McHale on Brad Stevens - "Needs to decide who his top-3-or-4 guys are"
Brad Stevens has been tinkering with his lineups since the beginning of the season, and things seem to be falling into place. Marcus Smart in the starting-5 has worked for Marcus and the team. Gordon Hayward had a breakthrough game last night versus the Timberwolves as a bench player, but the win and Gordon's performance may well have occurred had he started the game. His versatility and talent can be of use in virtually any role. “I think they’re in a spot where they’re trying to keep a lot of players involved and a lot of players happy and catching a rhythm for a lot of players,” the Celtics legend said. “That’s always really hard. I’ve always believed that you need to make sure, as a coach, that your three or four top guys are in a great rhythm, and then after that, you’re going to have to have guys that fill in and play. You can’t make everybody happy all the time. That’s a tough thing. 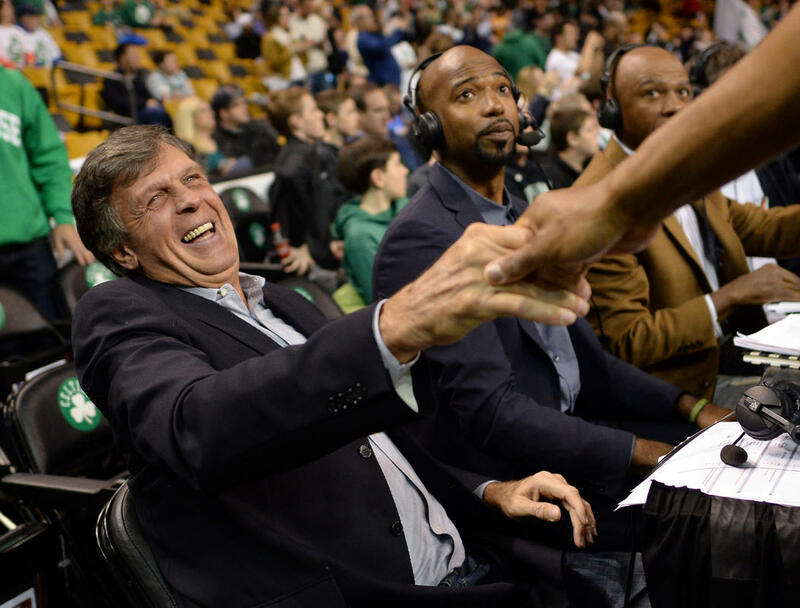 In McHale's time with the Celtics, the main focus was on the Big-3 of Larry Bird, Robert Parish and Kevin. But Dennis Johnson played a critical role in the starting-5, making for a 4-man core. Red Auerbach was not totally sold on Danny Ainge as a long-term, core-type player and ended up trading him, a move frankly that did not turn out as expected. Stevens has the problem of having the wealth-of-riches. Who are his key three or four guys? Kyrie Irving certainly is. Gordon Hayward showed last night that he most likely is one of them. Al Horford? He was brought to Boston for that purpose, but he is 32 years old and has a player option next season. He certainly has been a key player for the Celtics thus far. The future is uncertain. Being the nexus between the so-called starters and so-called bench, may be the most important position on the team. Enter Mr. G. Nexus. As I keep saying, expand the rotation and watch our beautiful 4th quarters. G. Nexus allows for the expansion. Either G. or Smarty Pants, or both, need, to be on the floor for optimum opportunities for all. Jayson Tatum in his sophomore season seems destined for stardom. Marcus Morris has been a sometimes-starter and is having a fine season. But he will demand a much-larger contract at the end of this season. And then Stevens has to include Terry Rozier, Jaylen Brown, Aron Baynes and Daniel Theis in the action. You can see the dilemma. Tell us what you think.